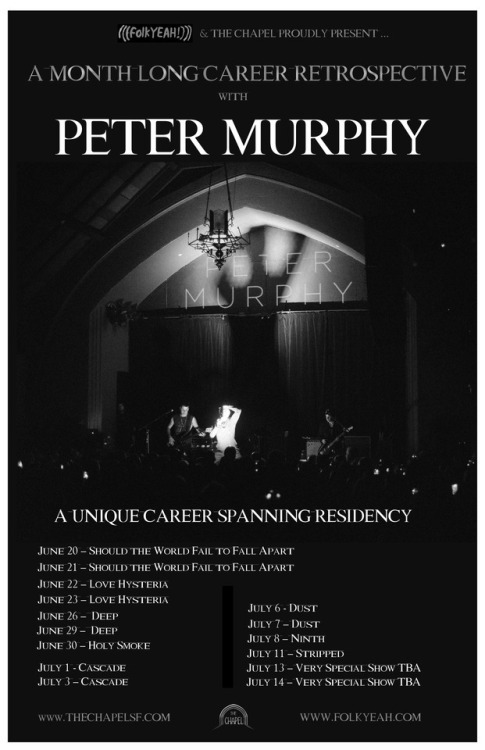 Peter Murphy announces Residency at San Francisco’s The Chapel – a retrospective of his greatest solo albums played in their entirety, and more. “I have always wanted to do a residency and while I was performing at The Chapel on the “Stripped” tour last year, I felt like this was the perfect venue and that the time to do this was now. There are a lot of songs on these albums that I haven’t sung in years. This is a rare chance for fans to see them performed live,” says Peter.